Upstate Vegas Events, founded in 2001, has grown into the leading provider of casino entertainment parties. We provide this casino experience primarily in the Buffalo, Rochester and Syracuse areas. However, we go everywhere within a 120 mile radius of central Rochester, NY. The owners, Janice and Paul Bartz, take an active role in the daily operations of this business. They provide prompt personal responses to your casino party needs. 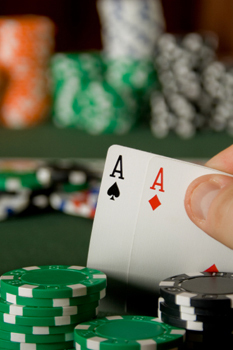 The equipment used at your event is casino quality and professional grade. You can expect to use real casino-grade cards and chips, deep dyed felt gaming tables, mahogany roulette wheels, and a full size craps game. The professional casino dealers for each game are outgoing, making for a fun experience. They deal the games with the same expertise you would see in most real casinos. If you are a novice, our dealers will explain each game’s fundamentals. Also, they offer suggested methods to enable the most successful gaming experience. Let Upstate Vegas Events bring you and your guests the true casino experience with professionally dressed dealers, state-of-the-art equipment. Enjoy the sights and sounds of FUN! Strive for excellence in all aspects of our profession, and maintain the highest standards of personal and professional conduct. We maintain in full force, adequate and appropriate liability insurance. Never provide any service or product that is in violation of any law or safety standard. Utilize written contracts, which clearly state all charges, services, products and essential information to the client. Never commit to the client any services or products that cannot be delivered. 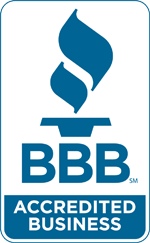 As a long term member of the Rochester Better Business Bureau we conduct business and perform within the area of expertise and skills possessed by honestly and fairly representing our professional competency. Honor all commitments, both oral and written, in spirit and intent, and strive to assure clarity and mutual understanding of all contractual relationships. 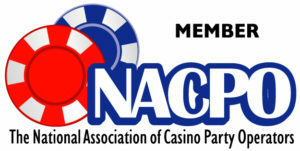 Member of the National Association of Casino Party Operators (NACPO), whose members are committed to providing the best possible products, services, and assistance to achieve the objectives of those for whom we work, our customer. Demonstrate professionalism, respect, and cooperation with clients, colleagues, independent contractors, suppliers, and employees, so as to bring esteem for the integrity, expertise and reliability of our company.